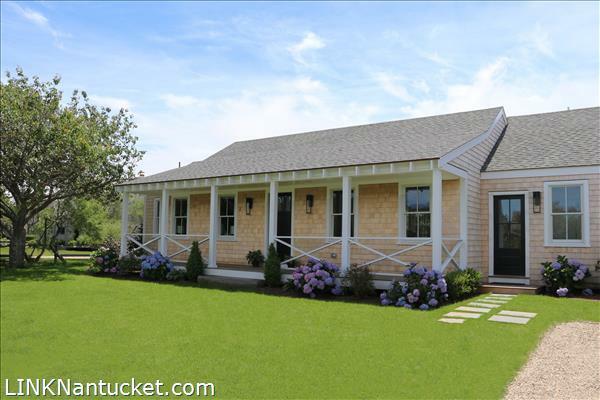 Located just moments from Miacomet Golf Course, Bartlettâs Farm, Cisco Brewers and some of the islands favorite beaches, this three-bedroom turn-key home is perfect for those who want an easy escape by the beach. This property is newly renovated and offered fully furnished (excluding artwork), ready to be enjoyed to the fullest this summer! The yard is spacious and boasts a stunning pool, and a deck and patio that effortlessly connects to interior living spaces for the ultimate ease in entertaining. The five-bedroom septic system allows for two additional bedrooms to be added to the property and there is over 3000 square feet of additional ground cover available. Please send me more available listings similar to 5 Doc Ryder Drive, Miacomet. Thank you!